John has made his living from helping sportspeople for 18 years. 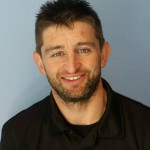 Firstly as an Accredited Sport and Exercise Scientist using his degree in Physiology and Sports Science with international teams in a variety of sports including cycling, hockey and athletics. Since 2003 John has been a full time triathlon and endurance sport coach, including 2 years as the National Coach for Scotland. He works with athletes of all abilities from novice enthusiast to elite medal winners. Around 75% of Scotland’s National Triathlon Squads have been coached by John at some point in their careers. He has achieved considerable results – athletes he has worked with have won 5 world age group titles, 3 elite world championships and a further 6 elite medallists. He has helped dozens of Ironman finishers including Hawaii qualifiers and some of the fastest in the country. Recently he has delivered consultancy work with semi-pro and pro cyclists including Linda Villumsen – the women’s TT winner at the Commonwealth Games 2014 and the current Scottish Road Race and hill climb champion Steven Lawley. John helped establish Fusion Triathlon Club in 2009 and has helped build it into arguably the country’s most successful club. John’s work is generally bespoke – tailored to meet individual needs and goals. His coaching ethos is one of delivering accurate, honest assessment, supported by the highest quality analysis and feedback / intervention. As well as coaching services John provides professional bike fitting and laboratory standard fitness assessment at the Performance Centre in Dales Cycles.